Canadian Alpine Guides specializes in customized mountain adventures in the Canadian Rockies and other parts of North America. 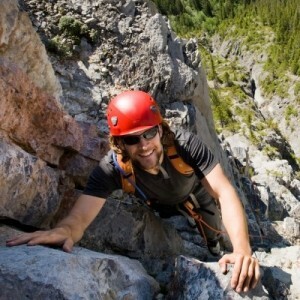 If you are looking for a private guide for rock climbing, ice climbing, alpine climbing or ski touring, Canadian Alpine Guides is right for you. 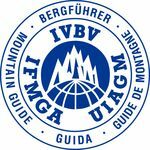 With over 13 years of experience, an undeniable passion for the mountains and an excellent safety record, CAG can help you on your quest for the ultimate mountain adventure. CAG offers a wide range of activities from beginner to advanced. Any activity can be modified to suit your needs in terms of skill level, ability, dates or length of trip. Contact us for more information. From Canmore, Alberta to the west coast of British Columbia, if you can think of a route that you have always wanted to do, CAG will guide you on that journey. With over 13 years of rock climbing experience, CAG caters to any level of ability and difficulty and offers a wide range of custom packages from basic introductory instruction to advanced multi-pitch classic routes. 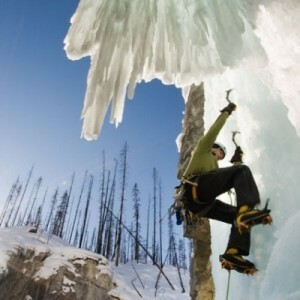 The Canadian Rockies offers some of the best ice climbing in the world with the most reliable ice conditions, few crowds and many climbs with short approaches. CAG offers a wide range of routes for the vertically inclined adventurer, from full-day advanced multi-pitch classics to 10-15 minute walk-in routes for the beginner. With over 13 years of ice climbing expertise in the Canadian Rockies, CAG can help you enjoy the thrill and challenge of ice climbing. The Canadian Rockies is the promise land of 11,000ft peaks, glaciers, rock, snow, and ice. It is a destination like no other. Experience the majestic peaks and let our passion become yours. We offer a complete array of customized packages from day trips for basic glacier travel to multi-day trips for serious ascents. The Canadian Rockies is a world-class winter ski touring/alpine climbing destination providing you with fantastic views, amazing glacier runs, and the ultimate backcountry experience. CAG offers a plethora of options in a multitude of locations, whether you want to ski the world-class resorts, backcountry or summit a mountain peak and ski down it. For example: 1-day ski tours at Lake Louise; to ski-mountaineering in Rogers Pass to multi-day traverses in the Selkirks, to avalanche/rescue courses. Enjoy the remarkable variety of terrain and skillfully designed routes in the heart of the Canadian Rockies with CAG as your guide. To learn more about Canadian Alpine Guides, check out our About page. For rate information, check out our Rates page. If you have additional questions, please get in touch.